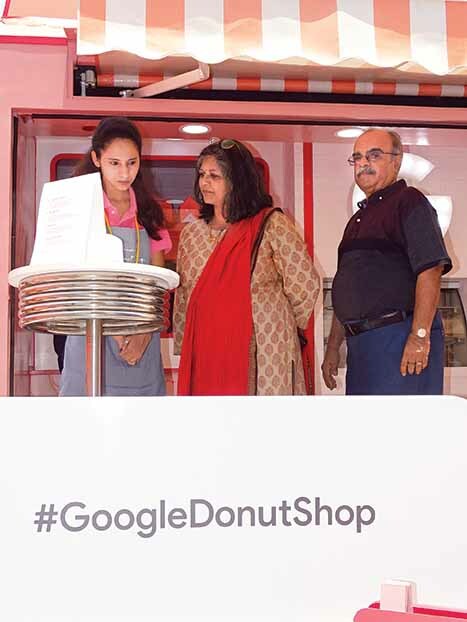 Google has put its Donuts shop on a Tata truck in India to promote its home products. It is peak summer in Mumbai. The lethal combination of heat and humidity is draining. The pull of the Google Home products and a bite of donut is however too tempting to miss. 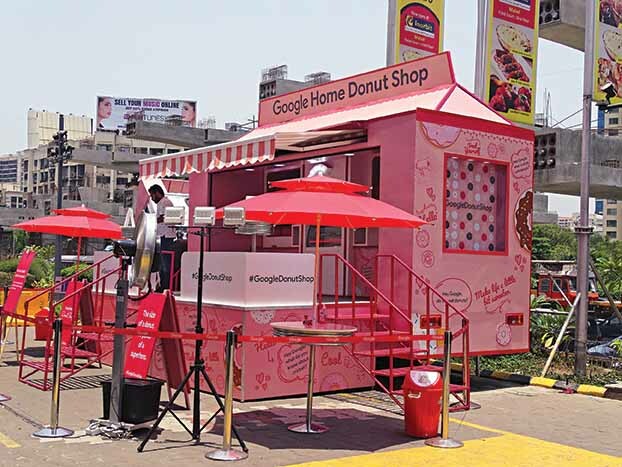 What is even more interesting is the mobile Google Home Donut Shop setup. It is built on a snow white Tata LPT 810 CRX BSIV truck. The conversion includes a superstructure painted in an attractive shade of pink. A subtle shade of pink, the outer skin of the superstructure looks like it is made up of flex material, and flaunts attractive Google graphics. The inner skin, there is a reason to believe, is made of steel. A good part of the superstructure is devoted to a glass partition with a conveyor belt behind it. Pink boxes of Google donuts sit on it, and are visible through the glass. A lucky winner of the donut box would get a mini Google home speaker, underlining the secret of engagement or experiential marketing that Google is up to. 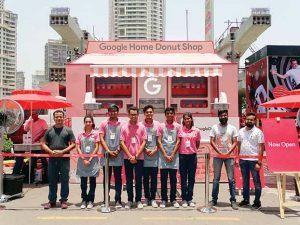 Parked in the lobby of Indiabulls tower in Lower Parel (prior to this, the truck was parked for two days at Inorbit Mall, Malad), the Google Home Donut Shop is surrounded by a young crowd of girls and boys, aptly reflecting the populous and young country that India is. 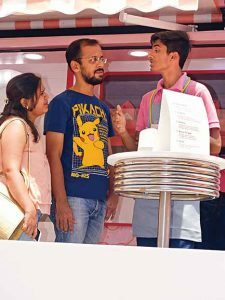 With an average age of the population below 29 years, it need not be mentioned that the aspirations and exposure of youngsters is high, making Google a brand they would want to look up to. Beating the afternoon heat, reflected in some part by the glass facades of the tower, mist fans on stand are abuzz to keep those in the vicinity from collapsing of dehydration and thirst. They are unique in a way where they work like mini coolers with a screen of water flowing in front of them as they rotate. They seem effective even as the staff wearing Google t-shirts moves around interacting with those who want to know what this exercise is all about. 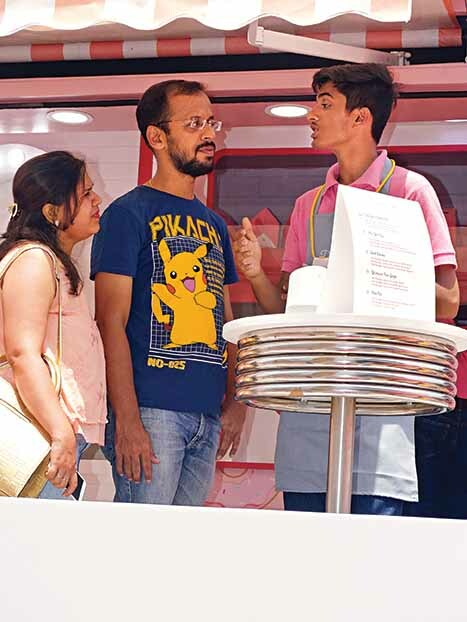 Starting its tour in Delhi on April 29, 2018, demonstrating Google Home smart speakers, an equivalent of Amazon Echo, and sounding surprisingly sweeter and more natural in comparison, Google Home Shop has made it to Mumbai via Ahmedabad. Post a stop over in Mumbai for a few days, demonstrating home products, the truck will head down south to Bangalore to woo the audience there. Picking up from the Google Donut Shop concept that toured several cities in the USA and UK, the Indian avatar of Google Home Donut Shop on a Tata LPT 810 CRX 4×2 light truck makes for an interesting exercise. Uncommon it is. 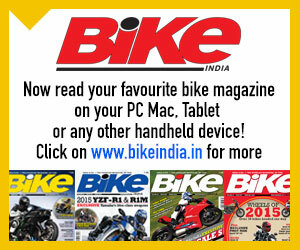 It is also rare because of the interest and commitment shown by a global giant like Google. 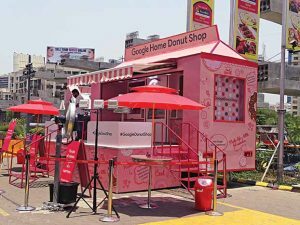 Rather than just speak about the commitment to Indian market, Google has, through the Google Home Donut Shop, demonstrated that it is truly committed to the Indian market. 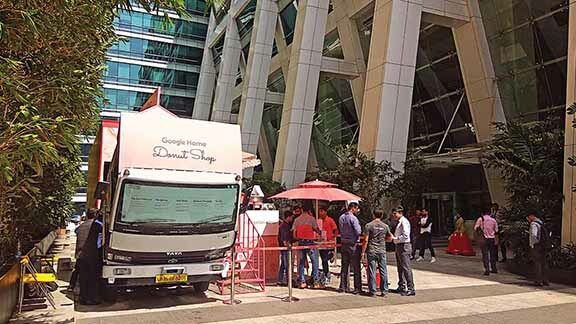 Bringing a global campaign to India, and giving it a local touch in the form of a Tata truck and a team of young Indians, Google has shown what could be done. Coming from a global IT major like Google, there is scope to say that an exercise of this scale, or of this type is new to India. 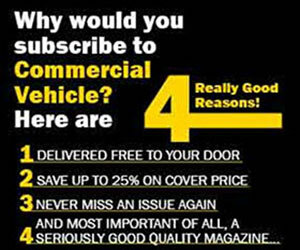 The use of a truck is clearly the highlight. play songs on command and does much more. The guide then calls the visitor over to a smaller Home speaker in the other corner, and close to the glass partition. She urges him to give commands in the way similar to the big speaker. The size of a donut, the mini Home speaker does not hesitate to tell the location it is at. Upon requesting, it quickly plays a popular U2 number, ‘Where the streets have no name’. Pronounce Bruce Springsteen, and the mini Home speaker promptly plays the song, ‘Born in the USA’. It does not take long to figure out that the mini speaker is sounding flat and muffled at times in comparison to the one heard prior. Sounding better than its nearest competitor though, the mini-speaker demo ends with the host telling the visitor to press a button besides the speaker. 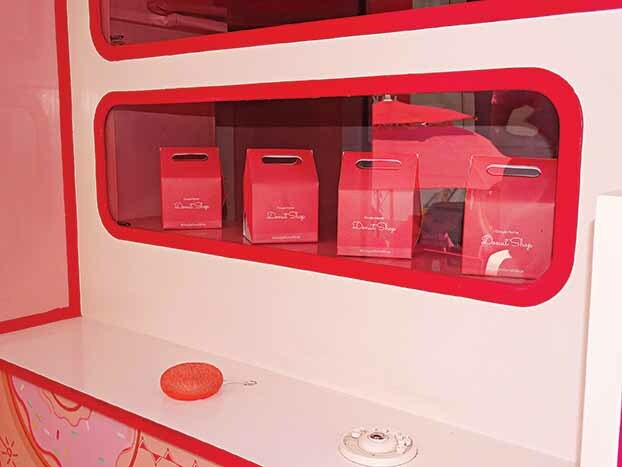 Pat appears a pink box out of the cavity nearby, thrown out by the conveyor belt. The choice of the Tata LPT 810 CRX BSIV High Deck Load Body (HDLB) was influenced by the need to have a compact yet effective superstructure according to sources in the know of the development under the condition of not revealing their names. With the brightly lit Google emblem at the center of the glass partition, it does not take long to understand that the LPT 810, with a GVW of 8.72-tonne, has proved to be just the right basis for the Google campaign. With a payload of roughly five-tonnes, the Tata LPT 810 is aimed at applications like milk, agricultural supply chain, e-commerce, etc. Modern in its build, the cabin of the truck is ergonomically well-arranged and ensures good comfort and visibility to the driver. Capable of seating three, the day cabin of the LPT 810 offers good space. 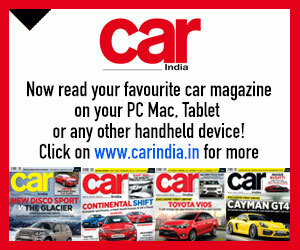 Power comes from a 125 hp, 3.8-litre common-rail, turbo-diesel four-cylinder engine mated to a six-speed manual gearbox. 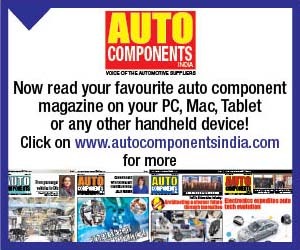 Suspension is made up of semi-elliptical leaf springs and hydraulic double acting telescopic dampers. Measuring 4342 mm in length (the high-deck version could be had with 5062 mm length too, and with a deck length of 17 ft.), and having a deck length of 14 ft., the truck rides on 7.50×16 16PR tyres. Equipped with a hydraulic power steering, the turning radius of the LPT 810 CRX is 6150 mm (that of the longer high-deck variant is 6750 mm). 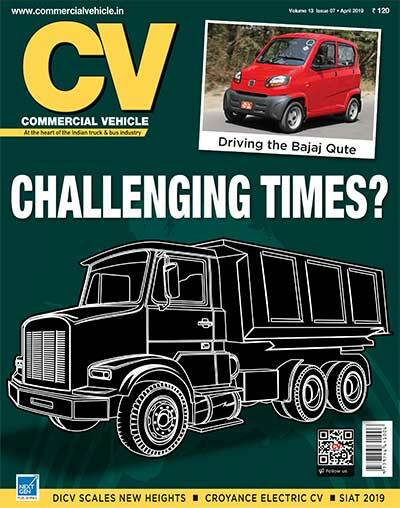 Supported by a three-year or three lakh kms (whichever is earlier), the truck has dual circuit, full S-cam air brakes.